The event, co-sponsored by the Center for the Study of Social Difference and the Women, Gender, and Sexuality Studies Council, gathered participants from a wide range of disciplinary homes to discuss the varied interpretations of this fundamental critical and theoretical concept. View video of the discussion here and photos here. Ester Fuchs, Director, Urban and Social Policy Concentration and Professor of International and Public Affairs and Political Science at Columbia’s School of International and Public Affairs, immediately acknowledged that choice brings to mind the current U.S. presidential election and the common misperception of a lack of significant choice between candidates. This wry take on representational politics has become “an easy way to analyze the legitimacy of elections,” she said. The U.S. system of indirect democracy relies on elections for its legitimacy, and that is appropriate, according to Fuchs. Equal access to the franchise and the quality of information available to all voters are the problems that need to be addressed, she said. Fuchs said the disenfranchisement of poor and minority communities via “trumped up cases of voter fraud” is an issue that critics should focus on instead of impugning the entire system. “Something important is at stake in this election,” said Fuchs, adding that 2016 will set the direction of U.S. politics for the current generation. Maya Sabatello, Assistant Professor of Clinical Bioethics, Department of Psychiatry, Columbia University College of Physicians and Surgeons, focused on obstacles to fully accessing choice in the field of precision medicine. Precision medicine uses biomedical and genetic testing to provide predictive health care and treatment of disease on a highly individualized basis. While most patients can choose whether or not to participate in precision medicine or what to do with the results of a genetic test, vulnerable groups like adolescents do not have equal access to such choices or an equal say in how their medical information might be used, she said. Sabatello said the U.S. lag in recognizing children as legal individuals can lead to parents making unethical choices about how to use their children’s data. Since data is now easily transferrable to corporations, “genomic privacy for adolescents” becomes another area where viable choice cannot be taken for granted, according to Sabatello. 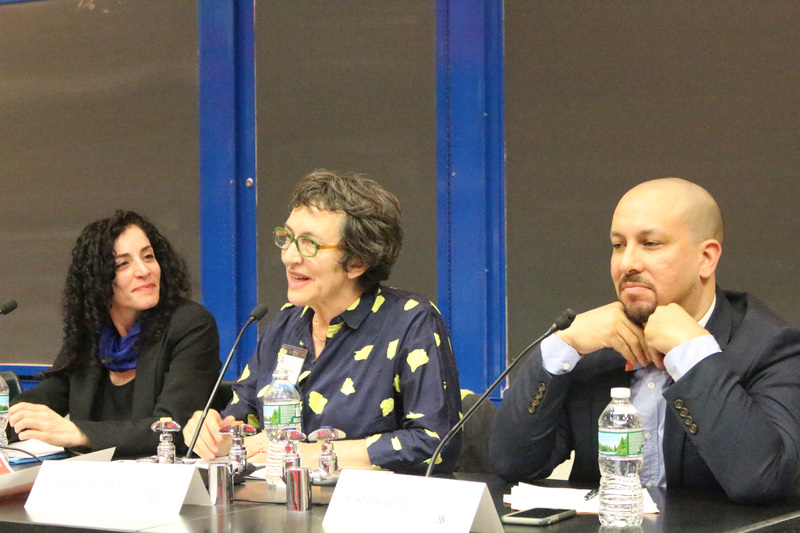 Carol Sanger, Barbara Aronstein Black Professor of Law, Columbia Law School, addressed the fact that constitutionally protected choices are extremely limited because they are provided by law and therefore susceptible to the pressures of the state. “It’s one thing to have the right to vote and another to find a polling station that is open,” said Sanger, who claimed that certain choices—like voting or the decision to have an abortion—are heavily constrained by the state. A choice may turn into a legal right, as with the legalization of gay marriage, but again the ability to make that choice or use that right exists only because it has been granted by the state. What is a legal right at one time or place may not be legal otherwise. Sanger discussed the problematic compromises associated with constitutional rights that can be waived by an individual under legal duress, as when the state encourages accused criminal offenders to plea bargain, said Sanger. Ninety percent of all defendants choose a plea bargain, electing a year of jail time instead of a constitutional right to a trial by a jury of one’s peers, said Sanger. The state can also constrain a woman’s choice to have an abortion in the interest of the life of the fetus, said Sanger. Some states require a 48 hours “cooling off period” to contemplate the decision for a longer period and some states require an ultrasound test in order to provide the woman with “more information” about her decision. These examples illustrate how the availability of choice and information does not necessarily mean individuals are free from legal restraints that affect their decisions. Josef Sorett, Associate Director, Institute for Religion, Culture, and Public Life and Assistant Professor of Religion and African-American Studies, Columbia University, discussed the various false assumptions about agency within the African-American church that arise amidst the influences of religion, race, gender, and sexuality. “Religion, all the more in the context of black churches, is often figured as the foil to the kinds of agency and individual choice associated with, and imagined and valorized by liberalism,” said Sorett. Sorett explained how the black church might be imagined by white, middle class evaluators as reflecting a “liberal, rational, autonomous, agential self who acts to make choices for themself” in one instance and then “deemed irrational and overly emotional” and unable to make choices in another instance. In reality, “Though they are generally understood as adhering to a politics of respectability, as unwilling to address sexuality in general, and as opposed to LGBTQ equality and inclusion specifically, black churches have, in fact, nurtured a variety of strategies for thinking about gender and sexuality that are not opposed to a progressive politics,” said Sorett. Sorett said there are currently three prevalent “false choices” concerning the confluence of religion, race, gender, and sexuality. The assertion that LGBTQ rights and black civil rights are opposed to one another is a “faulty wedge strategy from the right” according to Sorett, and the existence of LGBTQ people of color disproves the allegation. The charge that blackness and sexuality are mutually exclusive is also not borne out by reality, said Sorett, and neither is the charge that religion and sexuality are at odds with one another. Rachel Adams, Director, CSSD and Professor of English and American Studies, Columbia University, said the concept of choice was fraught for people with disabilities, as it is often tied to ablest norms and assumptions about individuality, autonomy, and personal responsibility. “Prenatal testing marketed on a discourse of choice and personal responsibility in a context of bias may narrow women’s choices,” said Adams. Prenatal genetic testing is usually associated with increasing a mother’s choices around whether to abort a fetus with Downs Syndrome or not but biased data from genetic testing can also be used by physicians to lean on a woman to abort. Conversely, some states may also narrow choice by outlawing the abortion of Downs Syndrome fetuses, or they might falsely pit women’s abortion rights against disabilities rights. Similarly, death with dignity aims to expand end-of-life choices for those with terminal illness, yet some disabilities advocates find it controversial because they fear the influence of biased physicians who view the existence of a disability or a terminal illness as a de facto rationale for death. Adams told the story of a wheelchair-using colleague who contracted a staph infection and whose doctors presumptuously offered to abjure antibiotics, assuming that he, a person with disabilities, would prefer to end his life at that point. Adams asserted that choice in both extremes of life would have more bearing if viewed through a lens of interdependence and responsibility between individuals, rather than ableist assumptions. During Q&A, Adams commented that all of the panelists agreed that in a liberal democracy, agency of choice was significantly more finite than one might assume. To think solely in terms of maximizing choice is limiting, said Adams, since all choices are ultimately constrained by their context—a point echoed by Fuchs. Overvaluing choice also creates false oppositions among groups, Adams said. One audience member commented that the American preoccupation with choices seemed to be associated with a lack of consciousness around personal responsibility and the consequences of choice. Fuchs said this trend was visible in the case of some presidential campaigns, where disempowerment led to a pervasive sense of self-interest, outweighing larger community concerns. Another audience member said that choice easily becomes problematic because the concept is rooted in autonomy and individual power, as opposed to inter-subjectivity and the common good. Fuchs responded that individual choice is ultimately reconciled with the public interest when the individual makes a decision to opt in to collective responsibility. Please view the panel discussion here.